“To celebrate new ideas in photography, we are asking people to nominate up to five photographers who have demonstrated an openness to use new ideas in photography, who have taken chances with their photography and have shown an unwillingness to play it safe." At the turn of the century, an unknown Philadelphia based artist named Zoe Strauss created a ten year public art project that presented an annual outdoor photography exhibit, displaying works in progress mounted on concrete pillars under Interstate 95 in South Philadelphia. Visitors were invited to take home a print at the end of each annual one day exhibit. Five dollar copies of the images from the exhibit were sold to art collectors and curious neighborhood visitors who (towards the end of the decade) stood in line for hours for a chance to meet Zoe face to face and have her sign the prints. 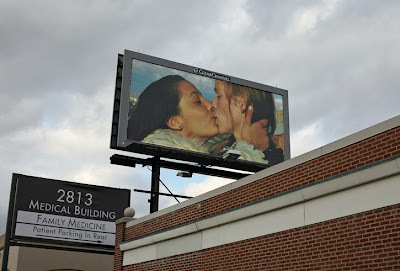 In 2012, as part of a mid career retrospective at the Philadelphia Art Museum, images were displayed on 54 billboards throughout the city of Philadelphia, further enhancing the public accessibility of her art. Strauss fully embraced the transparency of social media; allowing Facebook, Twitter and her blog to become an open diary and window into her work process. Starting relatively late as a photographer (age 30), she does not even have a 20th Century portfolio. Strauss developed an internationally recognized photography career entirely within the 21st Century. The PMA exhibit had the double effect of being one of the most talked about and well attended exhibits in the museum's history, while at the same time ruffling the feathers of Philly's photographic olde guard. Self taught photographer Zoe Strauss has never played it safe a day in her life. Just ask the White House press secretary. Alec Soth has changed the way we think about, and consume, photobooks. Always pushing in new directions, Soth sells a wide variety of book formats via his prolific Little Brown Mushroom publishing venture. Collectors can buy limited edition books that range in price from less than ten dollars to almost one thousand dollars, in an amazing variety of formats. 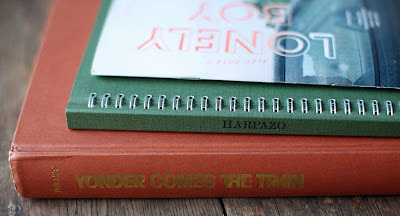 Soth has produced cheap staple bound zines in various edition sizes, as well as elaborate projects such as Broken Manual that took several years to complete. Most recently, Soth has been travelling the United States, producing very quickly edited newsprint "dispatches" from places like Ohio and Upstate New York. Soth also transitions seamlessly from solo artist to collaborator. Projects such as Lonely Boy Magazine have been produced with multiple contributors, House Of Coates was produced with writer Brad Zellar, and Soth has ventured into the pseudo-psychological realm via his alter-ego Lester B Morrison. I am an avid collector of Alec Soth's books and have written about my passion previously on PHOTO/arts Magazine. Alec Soth has little competition in becoming the defining figure in the early 21st Century photobook genre. PHOTO/arts Magazine is a compendium of photography and contemporary art topics. We regularly feature the work of emerging international artists. Created in 2006, Christopher H. Paquette is the editor and founder. Feedback, comments, and submissions for publication are always welcome. Call for Work...."My Own Wilderness"